All of the individuals mentioned in this chapter—designers, bloggers and innovators—are engaged in a transformative endeavour. The digitization of seminal Jewish texts with the ability to remix, share and annotate them has changed the way in which they are perceived as texts. In the eyes of the Next Jew, these documents are no longer static artifacts to be passively consumed. They are vibrant, dynamic entities that grow with each user’s engagement. This engagement is also continual, ever-evolving and, though personal, also connects the individual to the broader Jewish learning community. In other words, every text is accompanied by a threaded discussion and more Jews are taking part, be it through creating their own religious texts or adding their voice to the emerging “Spoken Torah” of the Jewish blogosphere. Though Jewish community was historically maintained by the work of elites, be they the priests, soferim, or rabbis, the Next Jew no longer relies on scholars sequestered in yeshivas to carry the weight of the tradition. All one needs today is commitment and a stable Wi-Fi connection. about twenty quills fashioned from a turkey-feather or reed, and finally, wooden rollers known as the Atzei Ḥayyim, or “Trees of Life.” The sofer works with a sargel or ruler to delineate the margins and the required forty-two rows in each column. He must reproduce each of the 304,805 letters of the Pentateuch with great care as any transcription error or penmanship malfunction might render the whole scroll pasul, or “invalid.” The whole project could take anywhere between twelve and eighteen months to complete. Because of the precision of the craft and the attention paid to detail, popular belief is that the Torah scrolls found in synagogue Arks across the world were written and produced in exactly the same manner as Moses did over three thousand years ago.See Deuteronomy 31:22ff. Rabban Gamliel says: Every day a person must pray eighteen [blessings of the Amidah]. Rabbi Yehoshua says: [One may say] an abbreviated [form of the] eighteen [blessings]. Rabbi Akiva says: If the prayer is fluent in his mouth, he must say eighteen [blessings]; but if it is not—[he may say] an abbreviated eighteen [because otherwise he may stumble on the words]. These stylized, semi-staccato utterances read almost as tweets in their brevity. Try rereading them without all the explanatory notes inside the brackets with the appropriate hashtags. (The longest, Rabbi Akiva’s statement, comes in at 102 characters, well under Twitter’s 140 character limit.) However, as one conversant in mishnaic or Talmudic discourse, the work of troubadour poets, or Twitter will tell you, these compressions and shorthands are quite common. They make the words easy to remember in sequence and repeat, linking students to each other and to the chain of tradition. For the reader, this philomnemonic style is equally effective. Additionally, and most novel, the way in which the written text was employed and deployed by traditional scholars prefigures the way in which many “use” texts today in the postmodern digital age. For example, one could read the first chapter in Mishnah Avot as an email that had been forwarded multiple times, with each sender adding on a comment or two before passing on the attachment (i.e., “the Torah”) to the next. (And each addition could easily qualify as a profound tweet.) Jonathan Rosen noted the similarities between Talmud and the Internet in the appropriately titled The Talmud and the Internet: A Journey Between Worlds. But even the most casual glance at any page of Talmud would reveal a deeply embedded network of texts from different places and different centuries. In other words, Talmud text, with its embedded links to other Jewish texts, is hypertext without Wi-Fi—and what Next Jews do today with text is not any different from what the Amora’im (i.e., Talmudic-era Rabbis) did back then. What is radically different is how. In this light, one can develop a more historical appreciation for the place, role and status of Jewish blogs. Like Torah, blogging as a form of expression also straddles oral and literary conventions. At the most superficial level, a blog reads like a book but sounds like a monologue. It also crackles with the immediacy of the spoken word, the “realtime-ness of speech as, unlike a book, it can be updated daily, hourly and, in some extreme cases, even minute-ly. It also attempts and invites connections and permalinks. The body of work, otherwise known as ‘Jewish blogs” might include all blogs written by Jews, but even if left to the blogs whose subject matter deals directly with the Next Jew-ish experience in all of its diverse expressions, the numbers are staggering and growing each day. This chapter will look at some of those blogs and bloggers and consider how blogging might become Torah she’Baal Peh for the digital age. Blogging is one of the driving forces that animates Jewish-protean tribalism. Its relentless grappling with Jewish tribal meta-issues—or, as some might dismiss it “navel-gazing”—takes many forms beyond the general “Is [insert trend here] good for the Jews?” Jewish bloggers ask tough, occasionally irreverent questions about the nature of the Jewish tribe and their own place and participation in tribal affairs. The answers they generate are often unconventional and contentious—but equally illuminating. The most commonly cited statistic about Michael and Sharon Strassfeld’s The Jewish Catalog: A Do-It-Yourself Kit is that it sold more copies than any other Jewish book in American history besides the Bible. Published in 1973, it was modeled after the Whole Earth Catalog which had been published from 1968 to 1972. Both volumes were all about “access to tools” (as Whole Earth Catalog was subtitled), providing individuals with empowering information to “conduct his own education, find his own inspiration, shape his own environment, and share his adventure with whoever is interested.”See page 3 for the quote and the rest of the Whole Earth Catalog. The Jewish Catalog provided basic information about Judaism and Jewish life in America. It also offered information about Jewish crafts, recipes, meditational practices, and tips on grass-roots activism. This is but one example of how, with the assistance of technology, the People of the Book have gone open source and do-it-yourself (DIY). This is a profound and significant move which has implications for proliferation of Jewish engagement and learning. The methodology and philosophy of “open source” first evolved in the realm of software development. In 1997, Eric S. Raymond, a programmer and shepherd of fetchmail (a free email client) began to think aloud about the Linux operating system, free and open source software and the ramifications for radical collaboration. Fetchmail was developed to test out “the surprising theories about software engineering suggested by the history of Linux.” Linux (unlike Windows and Mac OS) was designed and distributed as free software, otherwise known as FOSS—free and open source software. (The variation, FLOSS, stands for “free/libre open source software”) More important, its source code was open to users so they could tweak the design, make improvements and share them with peers. Raymond’s thoughts eventually coalesced online into the essay entitled “The Cathedral and the Bazaar,” which evolved and grew with subsequent feedback and discussions. The website,For the essay (and subsequent discussion about Raymond’s ideas), see here. (as with all open source materials) gives permission “to copy, distribute and/or modify this document under the terms of the Open Publication License, version 2.0.” Although, as Raymond quickly points out, he sold O’Reilly the exclusive commercial printing rights. As mentioned earlier, free and open source software makes the source code freely available to users. Where the “cathedral” and “bazaar” metaphors are most illustrative is in between official software releases. Let us say that a new free and open source app was released two months ago, but developers are busily working on Version 2.0 and are set to release the updated app early next year. In the cathedral model, that source code, the one in process, is only accessible to an exclusive group, the bishops, priests and monks of software development. Upon release, it will be available to all. In the “bazaar,” the source code is freely available online to all users at all times. Linus Torvalds pioneered this process in 2006 with Linux and though he wrote the largest proportion of code (around 2 percent),For more about the Linux development process and the philosophy of open source, see here. the operating system was developed by a crowd of enthusiastic users for free.How big that crowd should be to be maximally effective, see, for example, here. Raymonds main idea and observation about this process is that, in the bazaar, “given enough eyeballs, all bugs are shallow.” Open sourcing and unfettered access also welcomes the crowd to vigilantly test the accuracy of code and maintain the integrity of content. As Raymond also observed, the prevalence of open source is a victory for hacker culture, where once-marginal users have emerged from the fringes to command the center and dominate it.See here. Jewish users, too, have embraced this do-it-yourself and open source ethos. In coming together to open source a project, users not only produce an evolving and meaningful Jewish artifact, they also construct a Jewish community that often extends both temporally and physically beyond the scope of the original project. Riffing on Raymond, Jewish users are definitely creatures of the bazaar as they revisit, reconsider and, in some cases, rework many of the seminal texts in Jewish life: the Siddur, the Tanakh, the d’var torah [sermon], the Haggadah and The Book of Legends. These “open source projects” not only invited involvement by users at their individual level of learning and desire for engagement, but created connections and forged bonds between individuals across time zones and denominations. More important, open source projects invite participation from individuals who tend to lurk at the margins of the mainstream Jewish community. For the Next Jew, empowered with a high-speed connection and a lot of good will, many traditional Jewish experiences (i.e., Shabbat prayer, sitting through a d’var torah, sharing the Seder with family, or studying Tanakh) have been redesigned from the bottom up to include the user’s experience, involvement and engagement. So, let us say, the Next Jew is rolling into the weekend. It is Shabbat morning … what’s next? Each denomination has its own siddur of choice, although each synagogue within the various movements express their own preference for specific prayerbooks. The Modern Orthodox generally embrace the ArtScroll edition, although many use the Siddur HaShalem (”The Complete Siddur”) otherwise known as the Birnbaum Siddur (after its editor Philip Birnbaum) or other editions which include the traditional liturgy with little to no English whatsoever in between the covers. If the Next Jew is not so traditionally minded, these volumes might not work for her. The Conservative movement employs Siddur Sim Shalom, which provides a translation of the prayers on the left-hand page with annotations and instructions in English (e.g., “Congregation [recites], then Reader:”). Sim Shalom retains the traditional Hebrew text throughout except when, for ideological reasons, some key passages (like those about the hope for the restoration of sacrifices) are taken out. Also, the Matriarchs are included in a parallel rendering of the beginning of the Amidah prayer. Sim Shalom also includes prayers for Israel’s Independence Day and Yom HaShoah, Holocaust Remembrance Day. Some congregations in the Greater Toronto Area have adopted Siddur Ḥadash, which is regarded as “more traditional” than Sim Shalom.See here for the complete story of Siddur Ḥadash’s launch. (Toronto’s Conservatives swing more conservatively than sister congregations in the United States.) Though Sim Shalom might be a good fit, depending on the Next Jew’s facility with Hebrew, she might be interested in something a bit more accessible. The Reform has traditionally employed Gates of Prayer which was originally published in 1975. Though including prayers in Hebrew, it offers substantially more English on each page. Additionally, the siddur includes alternative versions of every service. However, since 2007, a new siddur entitled Mishkan T’filah has been embraced by hundreds of congregations across North America. Mishkan T’filah differs from Gates of Prayer in four significant ways. First, Mishkan T’filah has a Hebrew title, which reflects its greater emphasis on Hebrew language. It reads from right to left like a Hebrew book. (Gates of Prayer could come that way too, but you would have to special order it.) Second, it does not refer to God as “He,” opting for more gender-neutral language. Third, or arguably an extension of the previous point about gender-neutrality, Mishkan T’filah is also gender-equal, including the Matriarchs as well as the Patriarchs in the Amidah prayer. And, finally, while Gates of Prayer offered variations of whole services, Mishkan T’filah also offers four variations of an individual prayer on the same page spread. The curious Next Jew will find the Hebrew prayer on the right side, accompanied by an English transliteration and a literal English translation, but on the left side, she will find more poetic renderings with passages to ponder, meditate and consider on her own. The Reconstructionists prefer Kol HaNeshamah, a compendium of the movement’s weekday, Shabbat and Holyday prayer book. 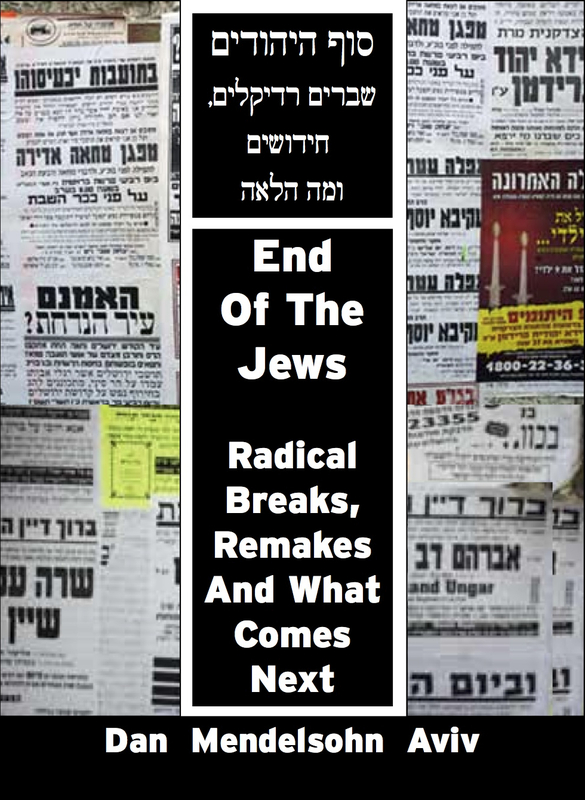 As Rabbi Peretz Rodman noted in his review of the gamut of siddurim, Kol HaNeshamah is “traditionalist in form, but radical in ideology”See here for the complete review.—and rather bulky. Would its purported radicality or significant heft be a deal breaker? Imagine a social network focused on publishing built around privacy, collaboration, and a public database and digital library of Jewish liturgy in a format that can easily show historical variations and changes across Jewish traditions, manuscripts, and facsimile editions. Imagine a collection of text and recordings, freely licensed for creative reuse in every language Jews pray in or have ever prayed. Reimagine your siddur, custom tailored to your practice, replete with your insights and those selected from your friends, family, and the complete corpus of Jewish tradition, and a record of your family’s and community’s minhagim and nusaḥ. [i]f we really respect that the siddur is the traditionally technological means by which Jews mediate their spiritual and thus personal practice, then we must ensure that their creative work is as private as any personal journal or diary, until they wish to share their content. Share Alike — If you alter, transform, or build upon this work, you may distribute the resulting work only under the same or similar license to this one.See here for the full extent of the CC-BY-SA 3.0 Unported license, including waivers, the public domain, and other rights. Though the Open Siddur website, as Varady indicates, is really a “placeholder for a much more interactive web application,” its premise is an interesting one, compelling to many and only possible in the present moment: the sharing of liturgy-related content in real-time, created and annotated by the user. The user’s content serves as both a resource and repository for traditions at the individual, familial and national levels, tracking changes and variations across time. In other words, the Open Siddur is a truly living siddur. It is born and matures with each use. And, hopefully, it will never die. Most importantly, the user connects with others through this process of maturing ritual practice. Where the Open Siddur works at the macro level, Build a Prayer works on the micro. Described as an “online space where Jews of all ages and backgrounds can connect on a deeply personal level with prayer and Shabbat,” Build a Prayer facilitates the creation and customization of the Shabbat service “in a fun and interactive way that is meaningful for you and your community.” Despite the interface’s ease of use, the experience of putting together a service exposes some of the limitations of this user-created prayer experience. First, the organization providing the server space for the user-interface will most probably frame the extent of the user experience. For example, BBYO, a historically secular organization and sponsor of Build a Prayer, opted to provide its members with this DIY experience. However, for example, the user can only select the traditional format for the Amidah prayer without an option to add the Matriarchs alongside the traditionally lauded Patriarchs. (This emendation is standard in most progressive minyans and in many of the siddurim mentioned above.) Was leaving this out a sin of omission or commission? Was BBYO sending a message or simply not clued in? 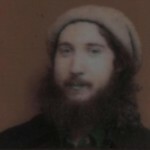 Second, and most important to someone like Aharon Varady:See here for Aharon’s complete comment. who ultimately owns the content? If I am building a prayer, is it truly my prayer? Can I share it without getting permission from the folks who paid for the server space? Can someone else remix my prayer or must they wait until seventy years after I die? That remains to be seen … but if Aharon Varady has his way and a lot of help from informed Jewish users, Open Siddur will be the one-stop and source for online Jewish liturgical content of all stripes and shapes. 1. Today, women have also started writing Torah scrolls as well. Though there is a commandment for each individual to write their own Torah (based on verse Deuteronomy 31:19), women were exempt as Maimonides argued in his Sefer haMitsvot (positive commandment 18) that the purpose of writing a Torah is to study it—and women were not required to study Torah. However, as consensus has shifted in the Orthodox world about women and Torah study, more women have taken an interest in fulfilling the commandment of writing Torah scrolls and training to become a soferet. Writing a Torah requires much advanced study as there are about 4,000 rules that guide the process and requires the steady hand of an artist and calligrapher. 2. According to Babylonian Talmud Bava Batra 14b, Moses inscribed the first Torah scroll on gevil, or unsplit cowhide. Gevil differs from klaf in that it is made from the whole hide after removal of the animal’s hair. Once the cow’s skin has been removed and depilated, it is limed and stretched on a frame. Klaf on the other hand, is a segment of tanned skin. 5. See page 3 for the quote and the rest of the Whole Earth Catalog. 6. See here for the complete post. 7. For the essay (and subsequent discussion about Raymond’s ideas), see here. 8. For more about the Linux development process and the philosophy of open source, see here. 9. How big that crowd should be to be maximally effective, see, for example, here. 11. See here for the complete story of Siddur Ḥadash’s launch. 12. See here for the complete review. 13. A hierophant is someone who guides congregants into sacred encounters. The Open Siddur Project uses the title as a referent to the project’s director responsible for communicating the mission of the project and welcoming potential contributors. 14. See here for the full extent of the CC-BY-SA 3.0 Unported license, including waivers, the public domain, and other rights. 15. See here for Aharon’s complete comment. ““People of the (Open Source) Book” by Dan Mendelsohn Aviv (Key Publishing, 2012)” is shared by Dan Mendelsohn Aviv with a Creative Commons Attribution-ShareAlike 4.0 International copyleft license. Dr. Dan Mendelsohn Aviv has been engaged in Jewish learning as an educator, lecturer, professor, published scholar and author for almost twenty years. 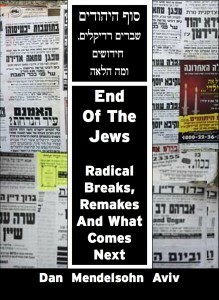 His book End of the Jews: Radical Breaks, Remakes and What Comes Next came out in 2012. Having spent three years creating an alternative model for informal education, he recently returned to his greatest passion-classroom instruction at Bialik Hebrew Day School in Toronto, Canada. He is also an itinerant blogger (at The Next Jew), inchoate podcaster and MacBook zealot. Most of all, he is proud of his darling Noa and three children. Please reciprocate for any adaptation or redistribution of this work by (1) properly attributing the work to Dan Mendelsohn Aviv, (2) clearly indicating the date you accessed the resource and whether any changes have been made (and if so, please be in touch with us and leave a comment below so that we might note your adaptation or improvement), (3) providing a link back to this source, and (4) specifying the Creative Commons Attribution-ShareAlike (CC BY-SA) 4.0 International copyleft license under which this work was shared. 2015-03-15 – 24 Adar 5775 at 2:43 pm · Reply. Dan, it’s been several years already since your interview with me for this chapter, and a couple years since the book was published and I have been remiss in not publicly thanking you for your work and for your permission in sharing the chapter with an Open Content license. Thank you very much! By reading how you and Gabrielle Girau-Pieck’s thesis understand our work from the outside, it’s helped me to better understand, articulate, and sharpen where our work fits in the context of North American Jewish culture in general and user-generated content projects in particular. I’ve since striven to communicate where we fit in three articles, “Open-source Religion,” “Open-source Judaism,” and “Open Siddur Project,” that I’ve contributed greatly towards on Wikipedia. Had I read your chapter prior to publication, I would have stressed the need to disambiguate your application of the term “free,” distinguishing between free-without-fee (i.e., gratis) and the freedom to adapt and redistribute (two freedoms denied by copyright law). I think this deserved more attention in underscoring what open-source is essentially about because so many of these so-called “free” projects that you mention are not at all free from our point of view since their copyright is not mitigated under the terms of any Open Content license. That point may seem tedious to some, but frankly, the free-culture movement and open-source licenses have no point at all were it not for the aegis of copyright that dominates and defines all creative work as proprietary property. (By extension, this point applies to our project as well — the Open Siddur Project would not be necessary were it not for the sad reality that liturgy and liturgy-related work are considered to be property and proprietary, unless shared under the terms of an Open Content license.) For creatives and project organizers content to work in obscurity, open-source matters not at all. It is really only those who wish to work openly who must safeguard their activities through application of the open-source and Open Content licenses. Our position is that the ephemeral works of those working in obscurity should also be intentionally shared so that by joining the growing Commons of shared works under copyright, they might have a better chance of both being preserved and of being used, adapted, and applied to a more vital Jewish culture. I think your insight concerning privacy is an interesting one that deserves further attention. After all, open-ness would seem to be at odds with privacy. And yet, concern for privacy between individuals sharing media over the Internet (via email, social networks, file sharing systems, and web-to-print publishing projects) is an integral concern for many technologists, as so many articles at the Techdirt blog attest. In my vision for the Open Siddur, I’d like the default permission for all contributed work to be private, and then set to Open when the user wants to. The opposite position was taken by my partner in the project, Efraim Feinstein. The matter is unsettled, but appears to be moot so long as development on our web application continues at its pace. We hope to revisit this issue as the web-to-print application matures. 2015-03-19 – 29 Adar 5775 at 4:13 pm · Reply. I agree that I did not distinguish quite enough between free as in gratis and free-to-adapt … and I suppose had I an editor as astute as you, I would have. As for privacy, I think it has become fairly axiomatic in many circles to say that privacy is undervalued or unappreciated or altogether irrelevant … folly of youth? And as for the default permission setting, I too would tend to think that privacy should be the default … but then again, what do I know? 2015-03-19 – 29 Adar 5775 at 5:17 pm · Reply. > I agree that I did not distinguish quite enough between free as in gratis and free-to-adapt and I suppose had I an editor as astute as you, I would have. It’s been a learning process for me too. When you interviewed me, this was on my radar, but since then I’ve really tried to prioritize that point since confusion concerning this is widespread. Even in places you’d expect this idea to be better understood it’s not. In the academic world, but one locus of confusion now concerns Open Access (which demands gratis access) and Open Content (which permits redistribution commercially and gratis). In the Jewish educational space, this confusion arises over Jewish educators being compensated for resources they prepare and which may be distributed gratis with or without an Open Content license. David Bryfman tweeted a couple years ago that he was opposed to FREE — but didn’t disambiguate that he was opposed to gratis access to Jewish educational resources and programs, rather than Open Content/free-culture movement inspired work that may or may not reside behind a paywall. It’s a subject worthy of an article on eJewishPhilanthropy. > As for privacy, I think it has become fairly axiomatic in many circles to say that privacy is undervalued or unappreciated or altogether irrelevant folly of youth? It is certainly among the groups that advocate for privacy like the EFF (Electronic Frontier Foundation). But there is a lingering conflict between open resources and privacy in public communication. The oldest example of this in open content licensed user-generated content project can be seen in the widespread use of pseudonymous handles in Wikipedia. In the Jewish world, it can be seen in the (in my experience) fairly typical use of pseudonymous handle of orthodox Jewish intellectuals participating in public debate over the internet — giving them freedom for being critical of the otherwise hyper-authoritarian subculture they participate in meatspace. > And as for the default permission setting, I too would tend to think that privacy should be the default but then again, what do I know? Efraim and my concern is that individuals participate in the project but never make their contributions public due to laziness in changing from the default regardless of their intention to share. I think this issue could better be resolved through clever User Interface design. But there is a good argument to be made, I think, that anyone using the project for personal reasons (as opposed to the mission of the project) should pay for that privilege. They would in that way be incentivized to publicly share, and if not, help to subsidize the project.